The Idolatry of God I have issues with organized religion and yet, every time I've tried to seek the Divine on my own, God just ends up looking like me. Community, I've found, is essential to spiritual growth. But how do we have real growth without trite answers? Recently Peter Rollins has burst onto the public discourse scene offering those of us dissatisfied with pat answers and cheap religious solutions a different perspective on our spiritual quandaries. 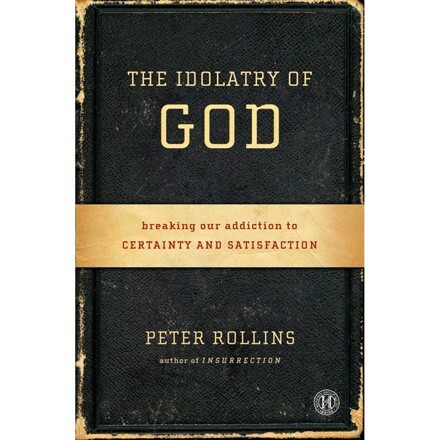 A metaphysicist and theologian, Rollins engages both the mind and the heart with the deep, yet frightening, truth: certainty is the antithesis of faith. His most recent work, The Idolatry of God, hits home on this point with stunning clarity, leaving this reader with a faith refigured. This book is not for the faint of heart, and certainly is not Chicken Soup for the Soul. It's more like raw vegetables: they don't always taste awesome, but they're the best thing to help you grow. š! This Latvian-funded anthology series features primarily artists from Europe and North America, but also work from Brazil, Scandinavia, Japan, etc. They're beautifully printed, full-color, full-bleed, and the perfect size for carrying around. A couple dozen contributors per issue means I always see some way of conveying a situation or feeling that I haven't seen before. There's no nostalgia for comics I don't care about or career cartoonists churning out the same work over and over. Most of the big indie comics publishers have given up on the anthology format, but if this series is any indication, public arts funding yields better results anyway. There are issues available at Quimby's and online. Music Box Theatre I'm an artist here in Chicago. I'm incredibly lucky to have a relevant (enough) day job that affords me the funds for my art practice. But after Sunday comes Monday, and it is always a long day at the office. So when the clock strikes five, I head out with friends to watch one of the independent/foreign films showing at the Music Box Theatre. 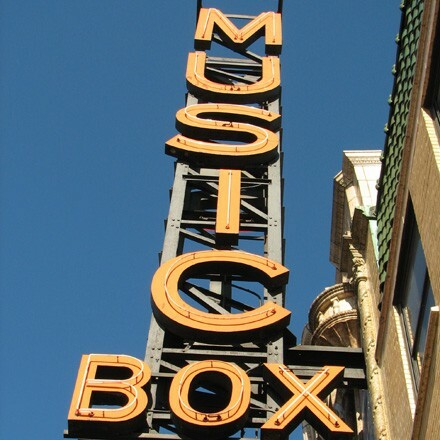 Every Monday, the Music Box offers $5 admission on top of buy-one-get-one-free popcorn and buy-one-get-one-free drinks. Seeing that it's a catalyst for the ultimate cheap date, I see no reason not to be sporting a high, lazy hair bun and public-appropriate sweatpants. I can guarantee you'll find me upright fetal position in any of the theater's janky chairs, hovering over my buttery box of popcorn with intermissions of carbonated joy. It's been the best cure for my case of the Mondays. Reader's Agenda Mon 4/8: Mike Greenberg, Young Man, and "Words and Gestures"
This week firefighter Jeff Wiley shows us around Engine 60 in Hyde Park. Almost a decade since its closing, the Brach's Candy Factory sits abandoned and neglected.